Movie begins at 6:30 p.m. Doors open at 5:45 p.m. Arrive early to enjoy some pre-show fun. No ticket required. General seating. Everyone is welcome to come and see the Academy-Award nominated, animated movie, Ralph Breaks the Internet. 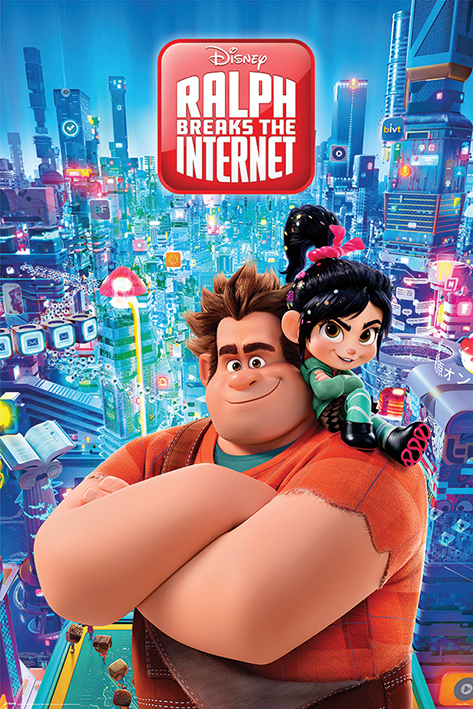 In the sequel to the 2012 film, Wreck-It Ralph, about an arcade game villain who wants a role reversal, Ralph Breaks the Internet levels up on its predecessor with a funny, heartwarming film that expands its colorful universe while focusing on core characters and relationships. This event is open to the public, bring your friends and family and join our Alumni Association Council as we celebrate Pi Day with a FREE community event. Free popcorn and refreshments. UA 11:30 a.m. to 1 p.m.
ENG 1:30 to 2:30 p.m.
ERC 1:30 to 2:30 p.m.
EDU 11:30 a.m. to 12:30 p.m.
DTA 10:30 to 11:30 a.m. Remember on Pi Day we have one purpose: to support the University of Ontario Institute of Technology by spreading the word on social media #uoitpiday and by supporting new scholarships for our students.